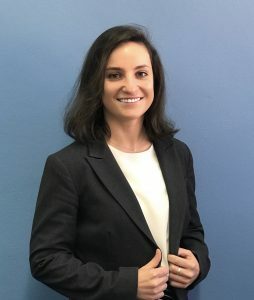 Stefania has been passionate about the law and protecting people’s rights from a young age and has been working in the legal profession since 2009. Over the years, working for Barwick Boitano Lawyers, Stefania has taken an active part in a number of different matters and areas of law including: personal injury, workers compensation, work injury damages, motor vehicle accident claims, public liability, superannuation insurance claims including Total and Permanent Disability and Income Protection claims, wills, powers of attorney and enduring guardianships, will disputes, estate planning, probate, property law, commercial disputes, litigation, criminal law and traffic offences. Stefania is no stranger to a fight and is a competitor in martial arts and Brazilian Jiu Jitsu with 5 gold medals so far from competitions across Sydney. She also enjoys playing soccer both competitively and casually with friends. Stefania prides herself on her great results in court, on the field and in the ring and has the determination needed in making sure her clients get the best results possible. Stefania is also proficient in the Italian language and Sicilian dialect.